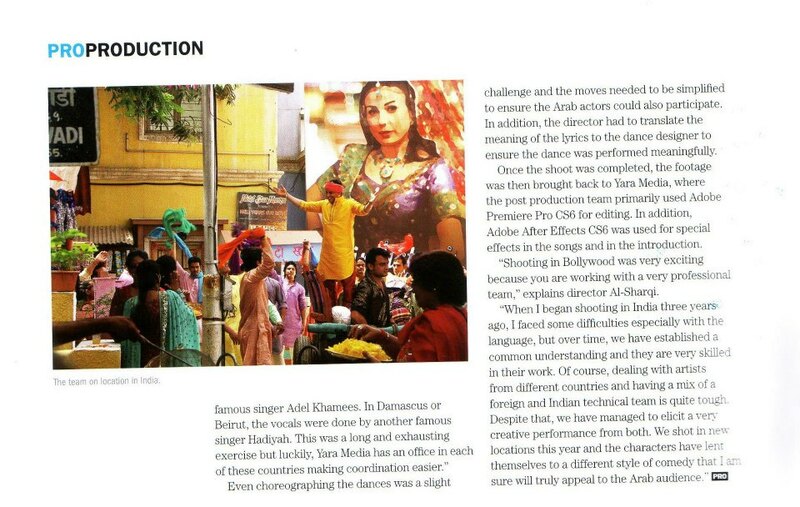 The Return of Hindistani- one of our recent works was featured in Digital Studio ME August 2012 issue. 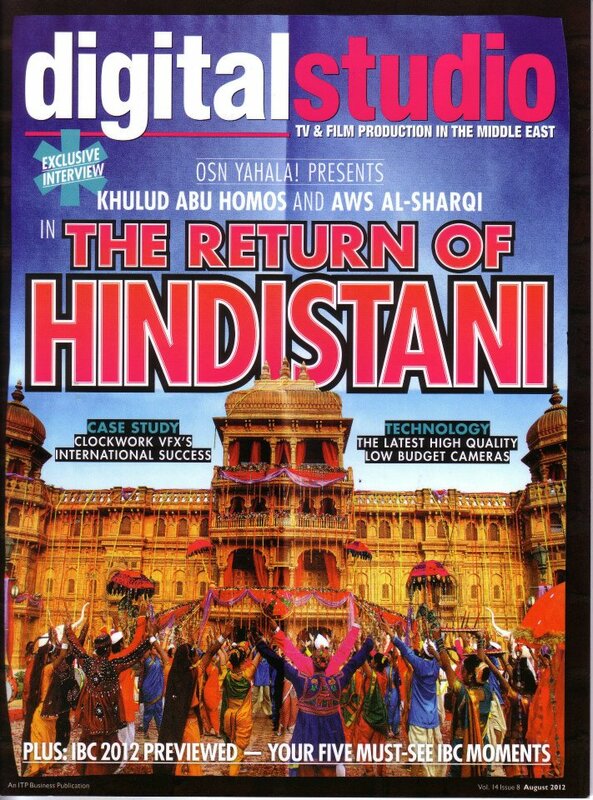 We produced a musical comedy production inspired by the Bollywood, telling the tale of Saudi spice seller who escapes his humdrum life by egressing into an all-singing, all-dancing dream world. 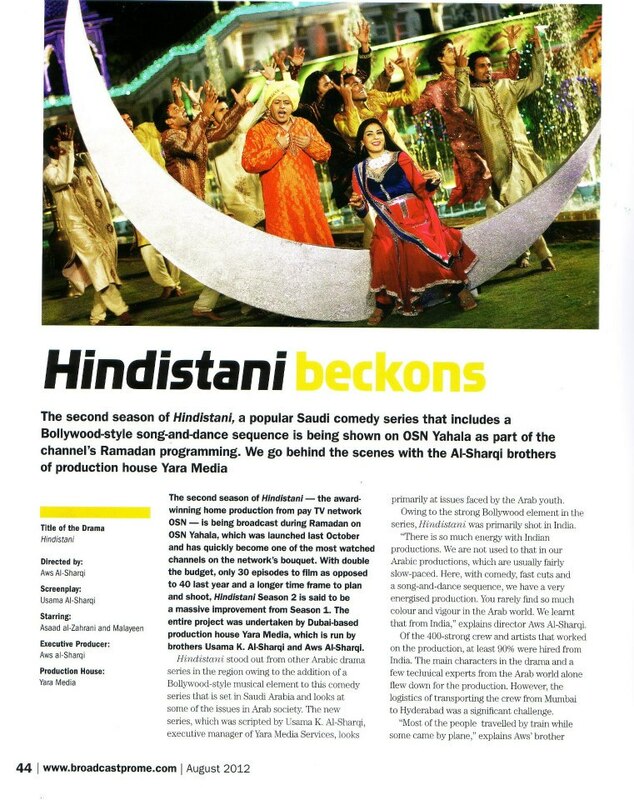 Hindistani is a forefront show when the region’s leading pay TV network launched the YAHALA channel. It promised the dawn of a new era for production in the region.